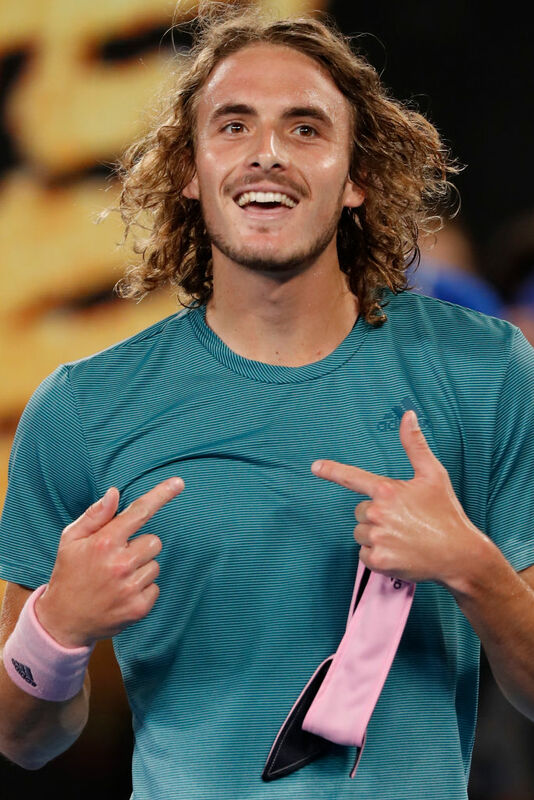 On this Aussie night, the boy who was reared in the land of the Greek gods unleashed many a bolt to subdue tennis’ mighty king. 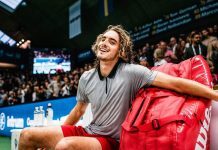 Moving with liquid speed and a confident ease, boy Stefanos Tsitsipas brought elder Roger Federer to earth. Recently, Federer has been defiant. He adeptly brushes time aside. But in his last three Slams, Roger hasn’t gotten beyond the quarterfinals – what a shock. Tonight, his foe broke his shoelace. Despite having 12 break points, Federer could not break Stefanos’ serve. How rare and un-Federer-like can you get? Then again, Roger’s twilight pilgrimage is unique. It’s brave and full of love for a sport he adores. He inspires. He may not be as explosive as in the past – still, his shot-making and singular grace draws gasps. And how about this? Roger’s daughters are about as old as Tsisitpas’ younger sister. 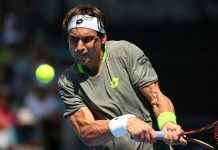 Roger was hoping to become the oldest Aussie Open quarterfinalist since Ken Rosewall in 1977. But the legend ran into a fearless force of nature. After dropping the first set in a tiebreak, the Greek claimed the next three sets to score a 6-7(11), 7-6,(3), 7-5, 7-6(5) win that shocked the tennis world while delighting many in and just outside of Rod Laver Arena. After all, after Athens and Thessaloniki, Melbourne has the largest Greek community in the world. Many a flag-waving fan was amazed by the young man. Some called out, “A star is born!” But Tsistipas is no newbie. He tested Roger at the Hopman Cup earlier this year. He’s the No. 14 seed, and last summer he beat Djokovic, Alexander Zverev, Anderson and Dominic Thiem to reach the Toronto final. Never mind that Stefanos has idolized Roger since he was six. Tonight he was calm. He stepped up, was energetic and free-flowing. His one-handed backhand is a stroke of beauty. His anticipation is uncanny. He has a veteran’s savvy – and he’s smart. At 6’ 4” he’s big, but not too big. He brings to mind Adonis, the Greek god of beauty and desire. To do so he would have to beat the red-hot Roberto Bautista-Agut and then possibly Nadal and Djokovic or Alexander Zverev. But no worries – Greek gods have achieved mightier wonders than that – and come to think of it, it wouldn’t be so bad to have an adonis as a Grand Slam tennis champion.